​Plant Probiotics is a unique powder mixture of live beneficial bacteria and fungi along with nutrients that feed them and your plants. Each bag contains billions of live microbes - the exact mix is the result of years of research by Sarah and her team of environmental scientists. Bacillus licheniformis, Bacillus megaterium, Bacillus subtilis, Glomus aggregatum, Glomus mosseae, Glomus intraradices, Glomus etunicatum...plus a secret special blend of other species (shhhh). 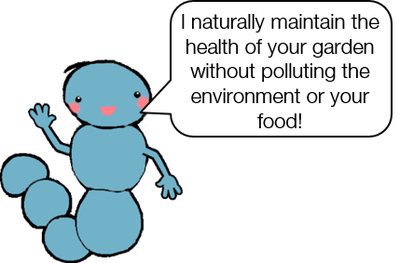 Plants need nutrients to flourish, but simply dumping more chemical fertilizers on them is causing loads of problems! Over-fertilization not only kills plants, but also cause ecological damage as it pollutes our waterways! Here at MicraCulture we get to the root of the problem and offer you a natural, safe alternative with Plant Probiotics. Our tiny team works day and night to make these same nutrients that you get in fertilizer, as well as improve plant water-use efficiency, drought tolerance, and remove many of the harmful pollutants that build up in the soil. 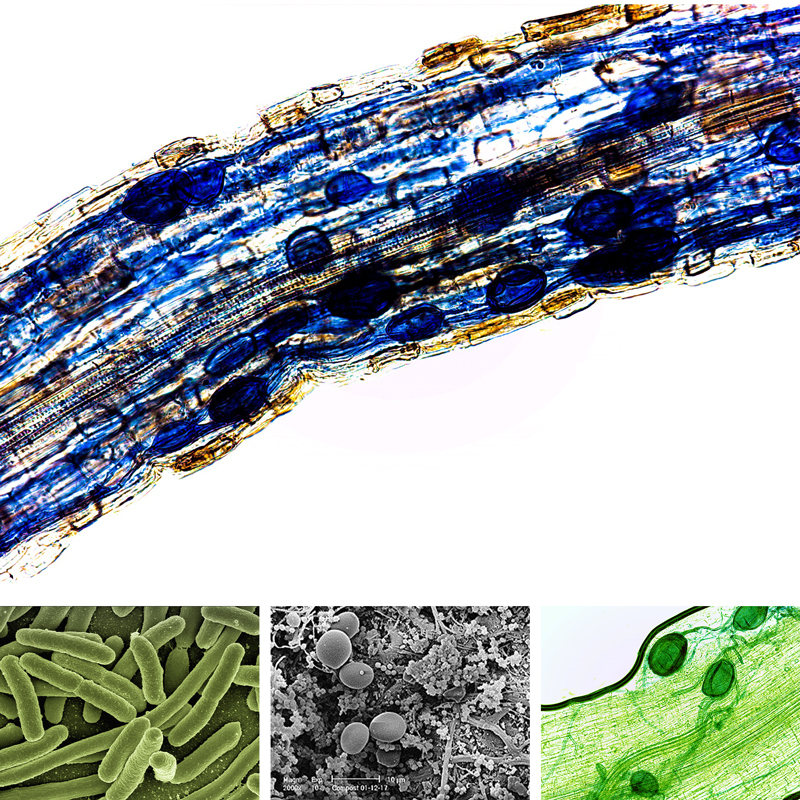 ​What are soil microbes and what do they do? ​​Although nearly impossible to see with naked eye, soil fungi and bacteria represent most of the life that exists on earth - there are more fungi and bacteria in 1 teaspoon of soil than there are people on this entire planet! 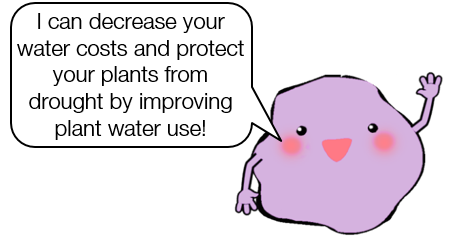 And these little guys are responsible for the well-being of our entire food chain - they run underground factories, chewing up and digesting soil and dead plant matter, releasing the basic nutrients that all life depends on, including you! 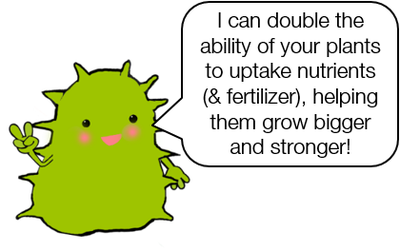 Without soil microbes your plants cannot survive! Pine seedlings with fungal networked attached to roots. Photo by David Read for Nature. Soil microbes process sugars, carbon, & decompose organic matter for plants, extend the reach of plant roots so they can get more water & nutrients.protect plants from pathogens, disease & other harmful invaders and stop excess soil nutrients from polluting waterways & poisoning animals. Plant Probiotics is an easy way to give your soil its microbes back in one easy shake. It is effective at not only restoring the natural functioning of your soil but also improving the environment and biodiversity. It is a sustainable and organic product that leads to not only a beautiful more productive garden, but also a healthier local environment and ultimately a healthier you.